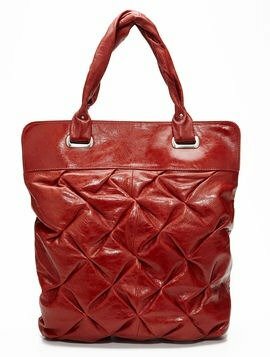 Large sized tote bag in glazed distressed leather with quilted design throughout. BCBGMAXAZRIA logo plate on back. Double top handles with hidden magnetic closure. Signature printed polyester interior lining with large zip pocket and two slip pockets. Drop handle 7 inches. Guaranteed authentic, 1 available.